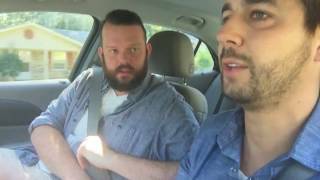 John Crist and Aaron Chewning imagine what it would be like if a car was a plane. A guy in an airport sits beside people talking on their phones and engages in their conversations while pretending to be talking to someone else. 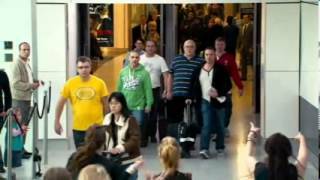 Watch arriving passengers be given a musical welcome home to remember at Heathrow Terminal 5.